We’re about one month into the new year, and it’s probably safe to say that many of us have already fallen off the wagon of New Year’s resolutions. So this is a good time to talk about how to reset our focus. 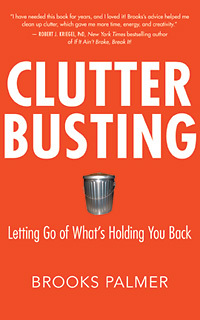 But first, it’s helpful to understand the environment we are working in as we try to accomplish any new goal. We live in a culture that has become very fast paced, results driven, and impatient. Because we are always trying to do too many things at once, we crave closure. Anytime we take on a new endeavor we want to see it completed as quickly as possible. We want to feel that this particular task has been accomplished and is complete. 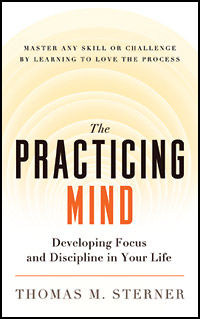 This habit of thinking infiltrates everything we do and heavily influences our perception of how we are progressing with any goal we set for ourselves. We hope you'll enjoy this short video in which Eric Maisel, author of Life Purpose Boot Camp, describes his no-excuses, cut-to-the-chase program for defining, training for, and achieving your most cherished goals.. We also invite you to subscribe to New World Library's YouTube Channel for immediate access to the latest author interviews, book trailers, and more. One of our favorite ways to discover new books is by checking out staff recommendations at local independent booksellers, so we thought it would be fun to create an ongoing blog series that features recommendations from the New World Library publishing team. 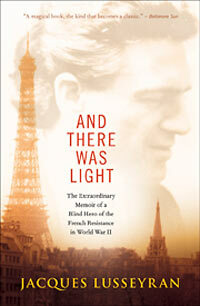 Senior Editor Jason Gardner kicks it off with this glowing recommendation of And There Was Light by Jacques Lusseyran. I was thrilled to acquire publication rights last year to And There Was Light, a classic but little-known memoir originally published in 1963. I was wowed by Jacques Lusseyran’s brilliant voice and his buoyant embrace of life, no matter the challenges he faced. We hope you'll enjoy this short video in which Eckhart Tolle, author of The Power of Now, talks about the desire to share our spiritual realizations with others. We also invite you to subscribe to New World Library's YouTube Channel for immediate access to the latest author interviews, book trailers, and more. Stop a moment. Take a breath. You know what? It’s good to be here. It’s quite an accomplishment. Now that you’re here, let’s take a look around and see what you brought with you to this point in your life. Your stuff, your activities, the people in your life, and the ways you see the world are all here with you. We’re going to look them over and see what you’d like to bring with you on your trip in 2015. We’re going to sort out the things that feel like dead weight and won’t be used. We hope you'll enjoy this short video in which Eckhart Tolle, author of The Power of Now, discusses the movement from "surface knowledge" to "depth knowledge." We also invite you to subscribe to New World Library's YouTube Channel for immediate access to the latest author interviews, book trailers, and more.